Top Fuel driver Mike Salinass captured his first career win in just his second ever final-round appearance Sunday at the NHRA Four-Wide Nationals in Las Vegas, NV. 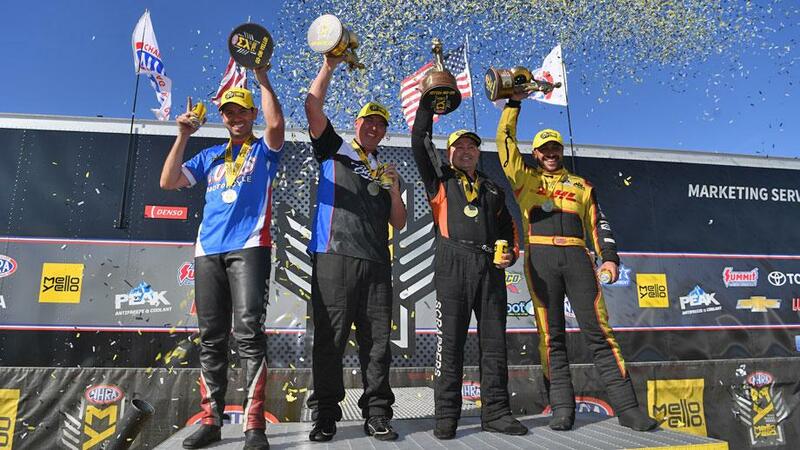 Salinas earned his first NHRA Mello Yello Drag Racing Series Wally with a terrific reaction time in just his fourth race paired up full-time with legendary crew chief Alan Johnson. The San Jose, CA-based businessman defeated Brittany Force, Clay Millican, and Doug Kalitta to the stripe to secure his win at Las Vegas Motor Speedway. He was joined in the winner’s circle by KB Racing and Team Summit driver Bo Butner, who continues to dominate Pro Stock. He has now won three of the first four races of 2019. In Funny Car, defending class champion J.R. Todd earned his first win of the year, beating Schumacher Racing teammates Tommy Johnson Jr. and Jack Beckman, as well as #1 qualifier Tim Wilkerson, all of whom were looking for their first win of the season. Hector Arana Jr. won for the first time this season in just the second Pro Stock Motorcycle race of 2019. “Listen, I’m just on the best team in the class,” Butner said. 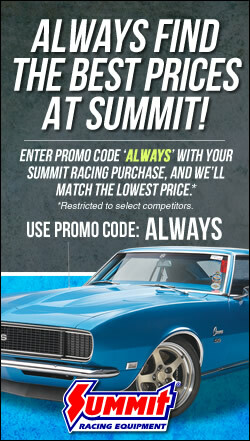 The 2019 NHRA Mello Yello Drag Racing Series season continues with NHRA SpringNationals at Houston Raceway Park in Baytown, TX, April 12-14.